Provides access to articles in journals, magazines, dissertations, and trade publications in education and related fields. Provides access to articles in magazines, journals, and reports in the fields of education. Full-text articles from the most popular magazines for the elementary school level and also children’s reference books. Contains the full text of a variety of popular middle school level magazines. Also provides primary source materials such as Essential Documents in American History; reference books such as Funk & Wagnall's New World Encyclopedia and The Encyclopedia of Animals; and relevant photos, maps and flags. This database is targeted for use by students in kindergarten through fifth grade, and their educators. This database is targeted for use by students in sixth through twelfth grade, and their educators. 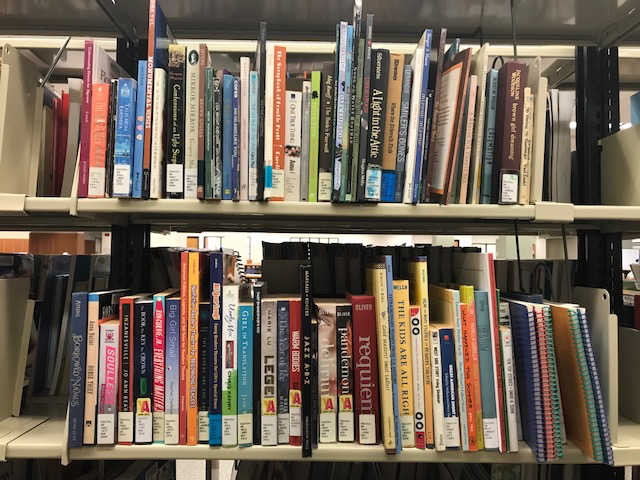 The Curriculum Collection, located on the Lower Level of the DiMenna-Nyselius Library, contains a selection of K-12 instructional materials. Materials are available in a variety of formats, including books, multimedia, computer software, journals magazines, newspapers, and educational kits. Our collection is constantly updated and includes award-winning titles including Caldecott, Newbury, Coretta Scott King, and Nutmeg books. Search for Curriculum Collection materials here. These websites contain information regarding requirements for licensure, standards, and original research. News and helpful links for educators, students, and parents statewide. Information about educational assessment and measurement tools, including the Praxis Series. Current accreditation standards information formerly found at NCATE. Supports early childhood education by providing "objective, nonpartisan information based on research." Information on assessment, evaluation, and research methodology, including full-text articles and lesson plans. The U.S. Department of Education's NCES collects and presents survey data regarding education at all levels. These websites contain links to resources for your class. They have been evaluated by librarians (that's a good thing) for your use in an academic setting. However, any website can be changed without notice, so be sure to evaluate every site you use. Resources for educators in the biological sciences at all grade levels, managed by the American Association for the Advancement of Science (AAAS). A website created to "inspire, inform and accelerate positive change in schools and districts by shining a spotlight on evidence-based strategies that improve learning and engagement for students." Primary source materials for the classroom. Resource section of the NEA's website. Includes lesson plans, strategies, and advice for new teachers. Provides links to free multimedia resources by topic and grade level. Don't see what you need? Try our other Education guides!